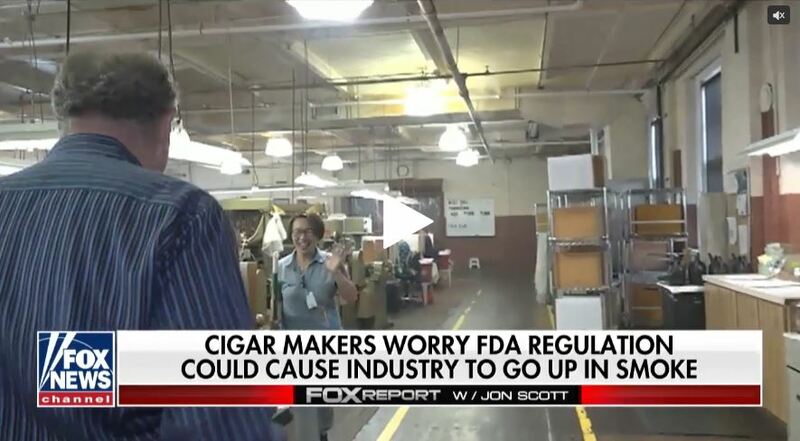 On Sunday night, Fox News aired a story on how FDA regulation is severely threatening America’s historic premium cigar industry. 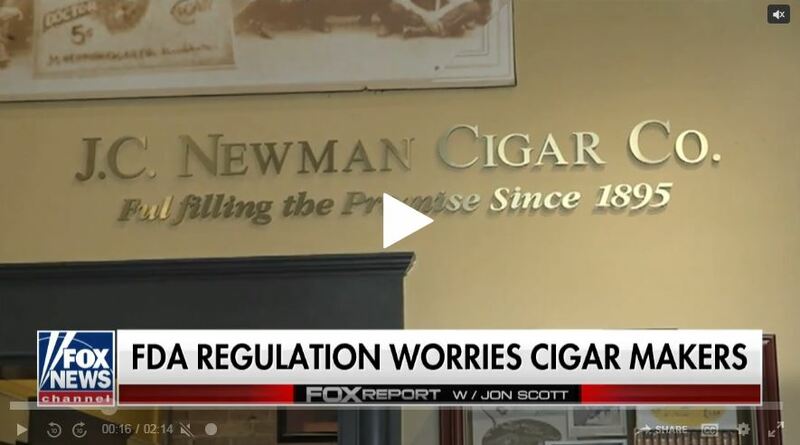 The piece was filmed at J.C. Newman’s 109-year-old cigar factory in Tampa, Florida and features Eric and Bobby Newman describing J.C. Newman’s efforts to seek relief from FDA regulation. Head over to FoxNews.com to watch the video. Cigars helped define this neighborhood in Tampa that, in its prime almost a century ago, was known as the “Cigar Capital of the World.” Home to over 100 factories, the city produced millions of cigars to ship worldwide. Cigars have long been a cultural cornerstone in places like Cuba and the Dominican Republic and, at one point, was a status symbol in the U.S., popular among movers and shakers. But health concerns and tightened regulations have strangled the industry. 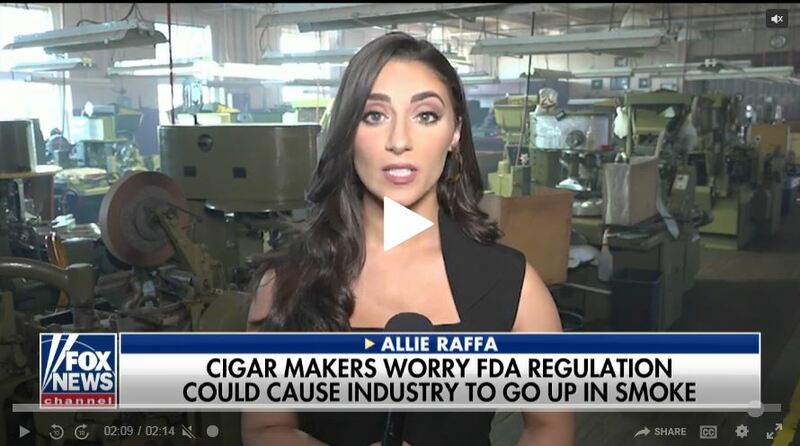 Owners say the FDA’s well-meaning effort to curb tobacco use by minors became a one-size-fits-all approach, enforcing the same regulations on cigarettes and vaporizers as they do for handcrafted, premium cigars. 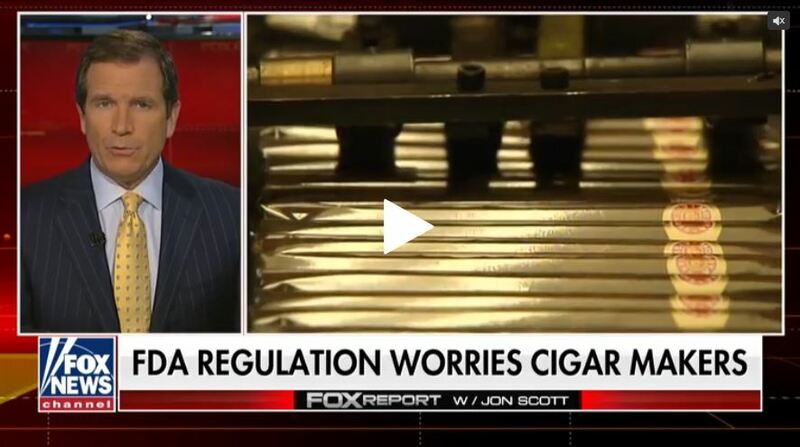 Watch when Rocky Patel talked with Tucker Carlson.